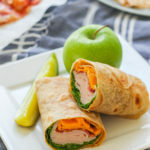 Soft homemade whole wheat tortillas, nitrate-free smoked turkey, cheddar, romaine, ranch dressing and bacon make up this delicious Bacon Ranch Turkey Wrap! Make five at a time — they’ll keep in your fridge all week. Perfect for bringing to work for lunch! Good morning everyone! A little late getting today’s post up. I’ve been a little exhausted lately– lots of things going on work-wise, blog-wise and personally! This past weekend, we spent all of Saturday (8+ hours…) doing our taxes. This is the first year we filed jointly and the bulk of the work was all of my blog-related income that we had to add– along with getting everything together for a home-office exception, blah blah blah. Let’s just say we ordered pizza and called it a night after that. Sunday was more fun– we had a family dinner at my parent’s house for my younger sister’s birthday (she turns 25 on Tuesday!) I love going to my parent’s house for dinner because I know we’ll always have an amazing meal. We had BBQ chicken drumsticks, frenched. My dad had been reading barbecuing blogs online and found a recipe for these. Apparently “frenched” means making a cut through skin and tendons and breaking a small bone which results in a tender, juicy drumstick without the grizzle. They were SO GOOD. Today I’m sharing a lunch that I made for Nick a couple weeks ago. On Sundays, if I have time, I’ll make whatever he’s bringing for lunch that week all at once, so I don’t have to do it every night. I like packing his lunch– he gets to eat something healthy (or else he’d just go to Chipotle every day) and it’s an easy way for me to show him that I care. 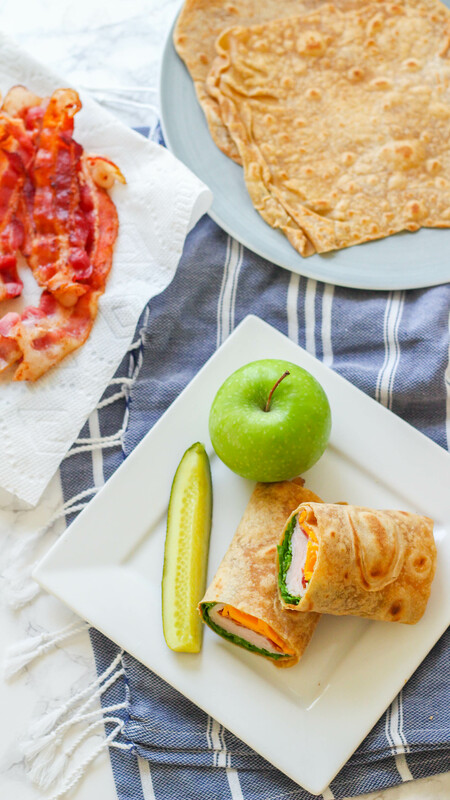 Bacon Ranch Turkey Wraps are SO easy and customizable. I made homemade whole wheat tortillas because I had some extra time, and because I had been wanting to try them out for a while now. I used The Lean Green Bean’s whole wheat tortilla recipe. They turned out amazing! I wish I had a tortilla press, though. Mine were very odd shapes. But at least they tasted good! Inside the whole wheat tortilla was romaine, turkey (I like Hormel Natural choice. It’s nitrate free which is important when choosing lunch meat), bacon (also nitrate-free! ), cheddar cheese and a tablespoon or so of ranch dressing. I put the lettuce on the very bottom of the stack of fillings so it wouldn’t touch the dressing– that helped keep the lettuce crisp and not get soggy. 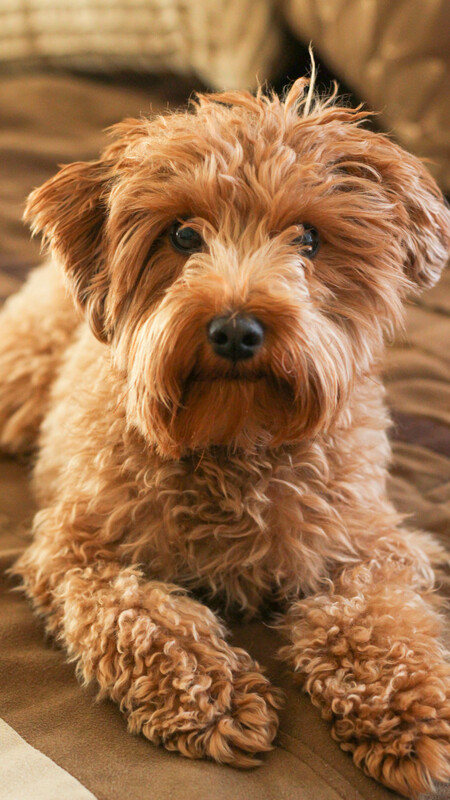 I had this little furry friend staring me down while I was taking pictures. I think he wanted a piece of the bacon. Or turkey. Or cheese. Or just a bite from the wrap! Sorry Roo, puppies aren’t supposed to have ranch dressing. I packed this wrap, an apple or clementines, and a pickle. Nick said it was filling and tasted great! I can’t wait to experiment with homemade tortillas and all types of wrap-fillings. I hate whole-wheat tortillas from the store– they have a weird smell and taste funky. But these smell like a regular tortilla! And they’re super soft. I definitely ate one right from the skillet with a dab of butter and honey. 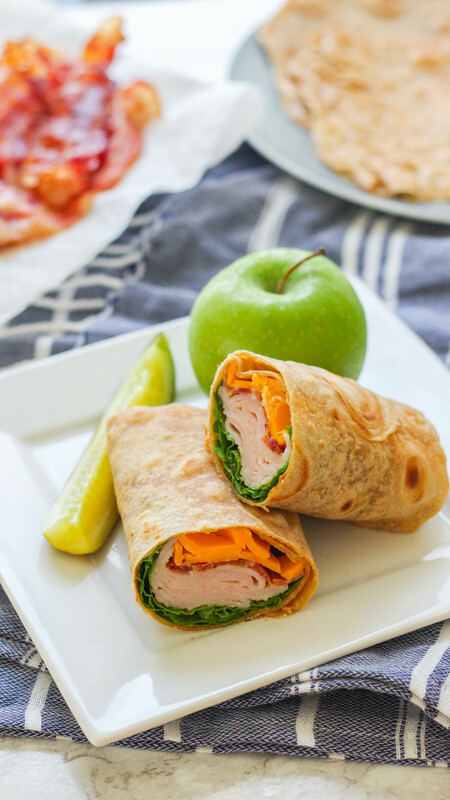 Here’s the recipe for a Bacon Ranch Turkey Wrap! 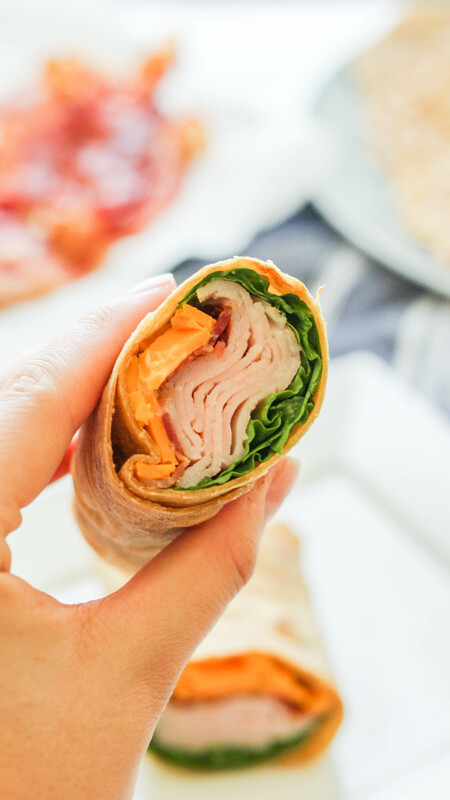 Soft homemade whole wheat tortillas, nitrate-free smoked turkey, cheddar, romaine, ranch dressing and bacon make up this delicious Bacon Ranch Turkey Wrap! Make five at a time -- they'll keep in your fridge all week. Perfect for bringing to work for lunch! 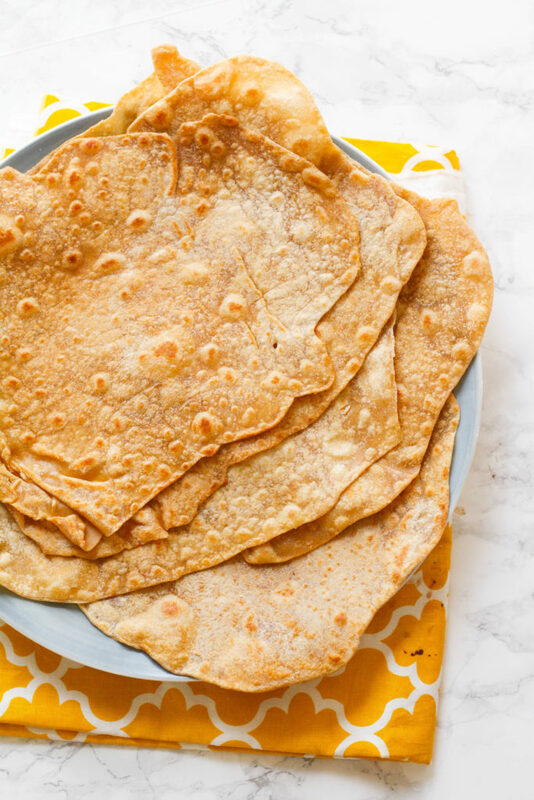 Check out The Lean Green Bean's recipe for homemade whole-wheat tortillas.